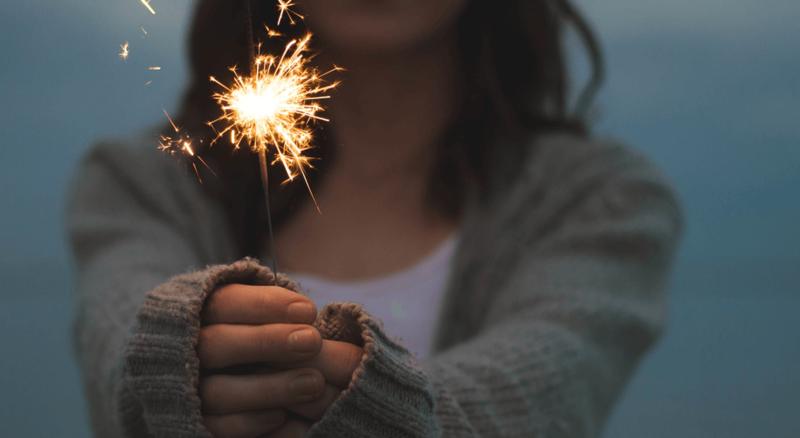 The first time I launched a product I was so nervous. Product launches are a roller coaster of emotions. You slave away in your little corner. And finally, you create a product that you are really proud of. And then you hit publish and hope and pray that other people see the value of your hard work. For the past several months I’ve been in monk mode toiling away to bring the artist’s Courtyard live. And it’s now open for registration. I’m really proud of bringing this project that I’ve been dreaming about for 8 years. 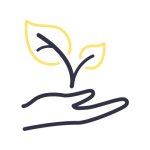 And I’m going to keep working, tweaking, and listening to your feedback because I know it has the power to put the ease back in legalese for you. Anytime I work on my business, I try to practice what I preach. I tell you to do a trademark search before you launch your product or service (or get attached to a name). So I did a trademark search. I tell you to register your copyrights. And I register mine. And this launch was no exception. Today I thought I would pull back the curtain on my launch. 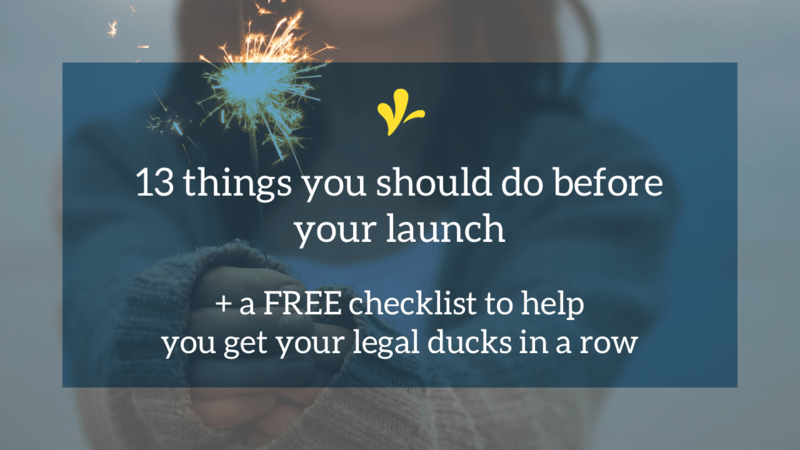 And share with you the “get all my legal ducks in a row” product launch checklist that I created for my launch. And to make life easier for you, members of the artist’s Courtyard can grab a copy of my “stay legit” product launch checklist below. Grab the checklist I used to make sure all my legal ducks are in a row before I launch. This launch had a longer than usual lead-time. And that’s because there was a lot I needed to get in place before launching. 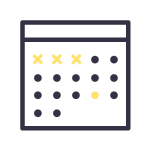 So the two planning stage tasks I started months ago, like at least six months ago. And obviously, the artist’s Courtyard touched on many of these items. So those choices needed to be documented in a Unanimous Written Consent. Because I document a lot of business decisions. I sit down at the beginning of each quarter and review the decisions I made. And then write a Unanimous Written Consent for all of those decisions. Since I last fall, every quarterly check-in required me to document launch-related items. No one wants to launch and then have to change the product name. Usually, this happens because you get a nasty lawyer letter. And this letter tells you that your name infringes on their client’s trademark. So last fall, I also conducted a detailed trademark search on a couple of the names I was considering. Based on this detailed search one of the names was eliminated. And from the remaining names, I settled on the artist’s Courtyard. the artist’s Courtyard had a soft launch at the beginning of March. So prior to that soft launch, I did two things. And then a few weeks back, I decided to include a viral giveaway component to the official launch and this got added to the list. Over the weekend, I realized that the “agree to my terms” checkbox wasn’t on the checkout form. So before the official launch, I corrected this. I wanted to do this so that I was forming a valid contract with the artist’s Courtyard members. I always remind you of the importance of registering your copyrights. So, I completed a copyright registration application for all the artist’s Courtyard current content. To help me stay on top of these registrations, I’ve created a system. 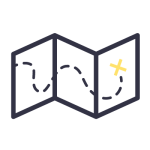 This system allows me to cost-effectively register new content as it’s released. Now that the artist’s Courtyard is launched I’ve got two on-going tasks on my plate. I’ve got a Google Sheets file that outlines all the content that I’ve created for my business. It shows when it was created and launched. It shows when I applied for the copyright. And when I get the registration certificate, I update it with the registration number. Each time I create new content for the artist’s Courtyard, I’ll update this spreadsheet. Allowing me to keep track of all my business’ intellectual property in one place. To get a registered trademark, you must be selling the product or service that you are registering. Now that I’ve launched the artist’s Courtyard, I can apply for a trademark. And if all goes well, I’ll have a registered trademark in about a year! So that’s everything that was on my “legit launch” product launch checklist! Of course, my launch involved lots of other moving pieces and there were other things on my to-do list. 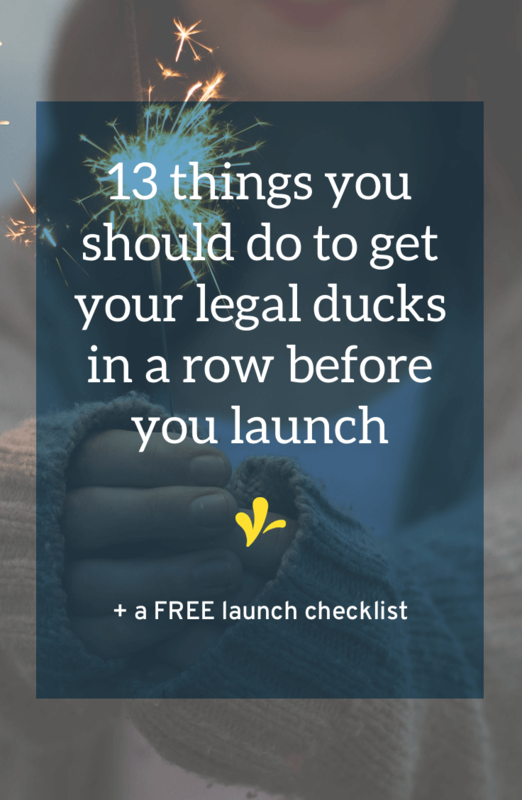 But this was the checklist I used when it came to keeping the legal ducks in a row for my launch. 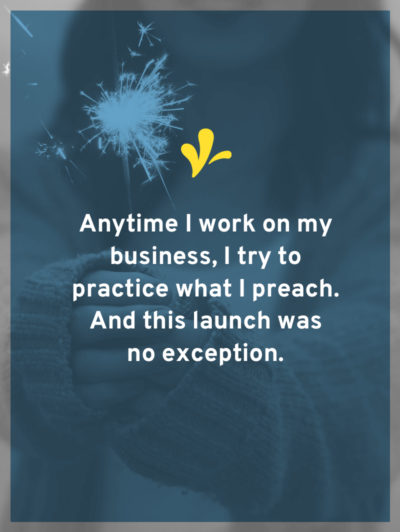 Does this give you confidence when it comes to launching your next product or service? Let me know in the comments below. And I’d love for you to join us in the artist’s Courtyard. 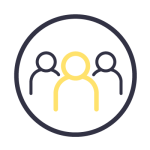 Click here to learn more about it.